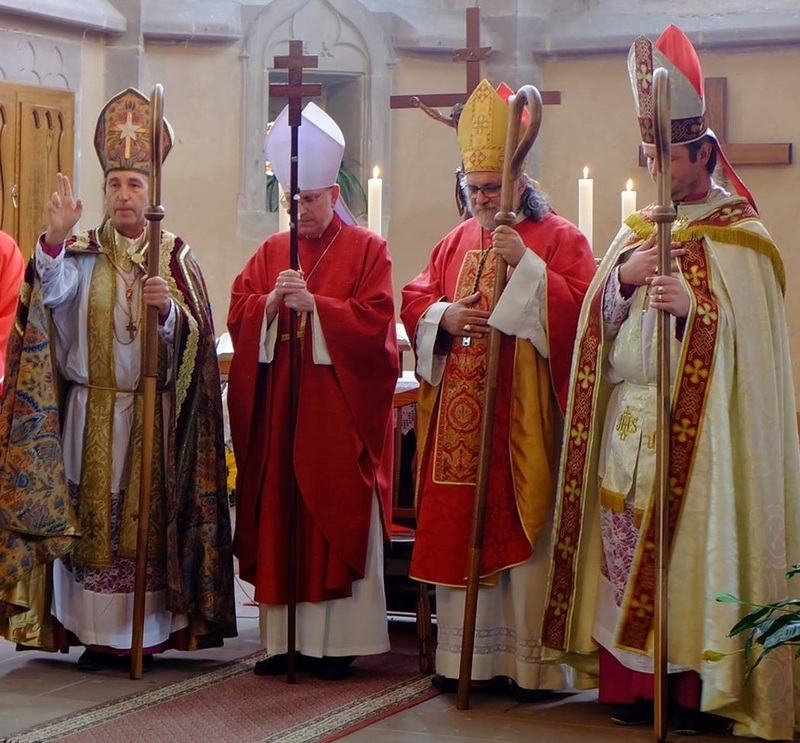 In order to maintain the Apostolic Succession it is necessary that the Bishops of the Young Rite are properly consecrated into the Apostolic Succession. The consecration in itself is not sufficient, as to be a bishop of the Young Rite, a community needs to be served. The Young Rite does not have a Presiding Bishop or an episcopal synod, only a Council of Three bishops, who have jurisdiction over the Young Rite, coordinate international contacts and maintain the international web site for the Young Rite. The Council of Three are currently: +Aristid, +Domen, and +David [Note: +Markus retired in September 2015].. There are two general routes: Either a bishop is chosen from the ranks of currently active celebrants or a bishop who has been consecrated elsewhere requests incardination. The Council of Three will propose a candidate. Only those who have been a celebrant for at least five years and serve a community (i.e. at least one circle) who meet at least once a month, with an average attendance of at minimum five people, will be considered for consecration to the Episcopacy. In exceptional cases (setting up a Young Rite community in a new country, for example) the Council of Three may deviate from this rule. All clergy in the country will be consulted. By clergy is meant all currently active celebrants in that country (i.e. priests and bishops who are celebrants). The clergy will be asked to indicate to the Council of Three (within a month) if they agree. If there is consensus amoungst the clergy, the new bishop is elected. If less than one third of the clergy are in favor, the proposal is jettisoned. If more than one third of the clergy are in favor, another round of discussion follows. Clergy will be asked to again indicate within a month if they agree. This second decision is final and binding and based on a two-thirds majority of clergy being in favor. The bishop wishing to incardinate applies to the Council of Three, who will enter into a discussion with this bishop and ascertain suitability and that the Landmarks of the Young Rite will be maintained by this bishop. Only once the Council of Three is convinced of the suitability, will they proceed to the next step. All clergy in the country will be consulted. By clergy is meant all currently active celebrants in that country (i.e. priests and bishops who are celebrants). The clergy will be asked to indicate to the Council of Three (within a month) if they agree to the incardnation. If there is consensus amoungst the clergy, the bishop is incardinated. In their consultations, clergy are expected to also consult the communities they serve.